Goodbye bitter winter, you were biting cold, come at ease O Summer, do not view my threshold. O ye rains ye bring muck and mud, Spring is here to bloom the bud! Charming sounds, of bees that hum and butterflies that kiss the sun. Be still happy heart for spring has sprung! The Festival of Spring, loved and joyously celebrated by persons of all races, religions, castes, diversities and ethnicity, is the harbinger of hope as the golden rays of sunshine peek through snowy days, as flowers bloom in every hue, and animals make love with a dance or two. Holi, is the most widely celebrated festival of Spring here in India, characterised by people dousing each other with water and powdered colors, and dancing away like there is no tomorrow. We, Zoroastrians too celebrate the onset of spring with a festival known as Jamshedi Navroze, also known and celebrated the world over as Nowruz (celebrated on 21st March every year) - the traditional Iranian festival of spring. Nowruz is celebrated on the dawn of the vernal equinox, when daytime and night are of approximately equal duration as the sun crosses the celestial equator. According to the legend King Jamshed holds a lot of importance, as it was he who introduced the estimated the Persian calendar. On this day the great king Jamshedji, was crowned as the King of Persia. As per deduction by King Jamshed this day is interpreted as the day on which the sun leaves the constellation of Pisces and enters Aries. Iranian, Zorastrians celebrate this day by laying a table spread known as the Haft Sīn. 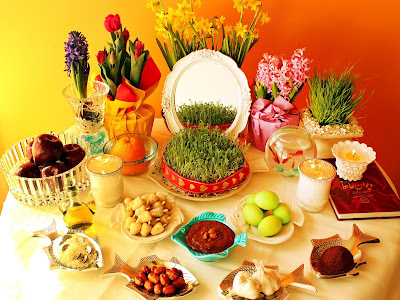 Haft Sīn (Persian:the seven seen's) is a tabletop (sofreh) arrangement of seven symbolic items traditionally displayed at Nowruz, the Iranian/Afghan new year. The Haft Sīn table includes seven items all starting with the letter Sīn (س) of the Farsi alphabet. Friends and family are invited by the table laying family to partake in their merriment. Visitors are asked to glance at their own reflection in a mirror (kept on the table) and make wish, and then asked to consume sweets from the table and are finally served a refreshing Falooda by the host. Faloodeh or Paloodeh (Persian: پالوده Pālūde‎‎) is an Iranian cold dessert consisting of thin vermicelli noodles made from corn starch mixed in a semi-frozen syrup made from sugar and rose water. 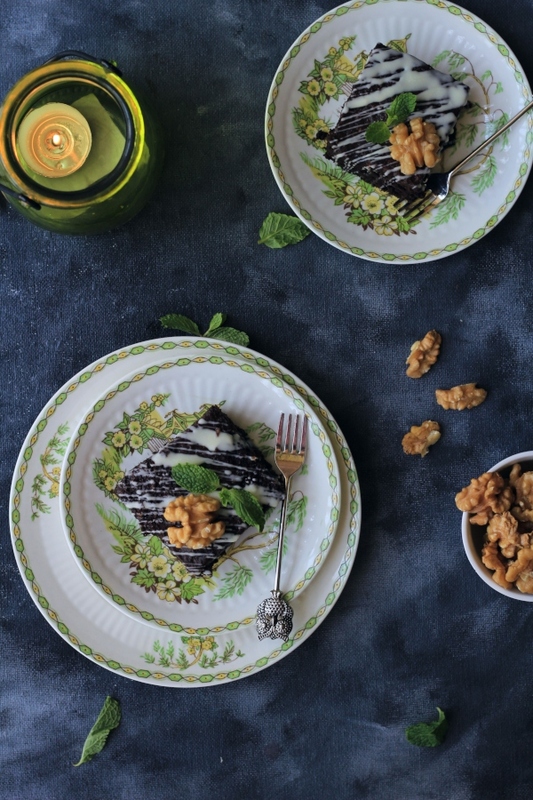 It is often served with lime juice and sometimes ground pistachios. It is a traditional dessert in Iran (Persia). Paloodeh is originally from Shiraz and it is also known as Shirazi Paloodeh. The humble Paloodeh, then crossed the seven seas, and was made renowned throughout the world, by traders, who traveled to and from Iran. 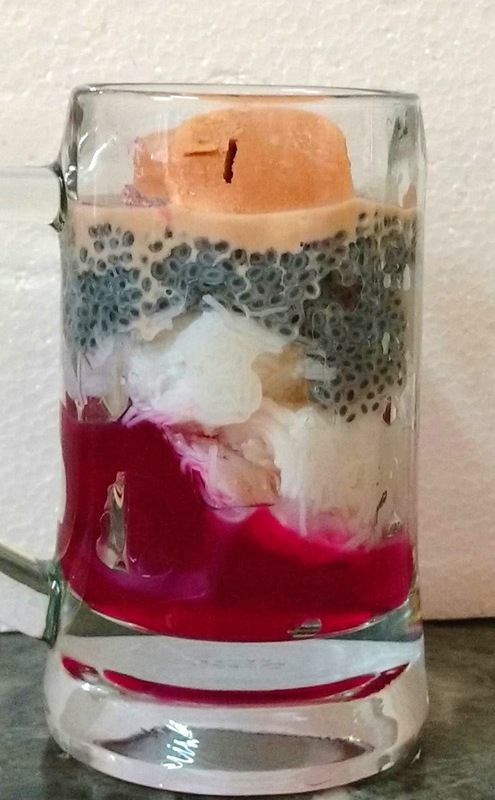 Then someday, somewhere, along the way it morphed into the Falooda, that we know, love and happily guzzle down today. - If using falooda sev boil the raw sev in water for 5 mins, drain the excess water and keep aside. - Soak the basil seeds in water for 15 - 20 mins or until they develop a gel like coating. - Boil the milk and keep stirring to avoid the milk from sticking to the bottom. - Let the milk boil for about 3-4 minutes. - Get the milk off the flame. Let it cool down completely and then refrigerate it for a couple of hours. - Once the milk is chilled, add the rose syrup to it and give it a stir. - Taste and adjust the amount of sweetness by adding a little sugar or more rose syrup. - In a glass, add the jelly followed by the vermicelli. Then add the basil seeds and the milk. - Add a scoop of vanilla ice-cream/ or malai kulfi to the falooda and garnish it with pistachio flakes. - Your Falooda is ready to be served.